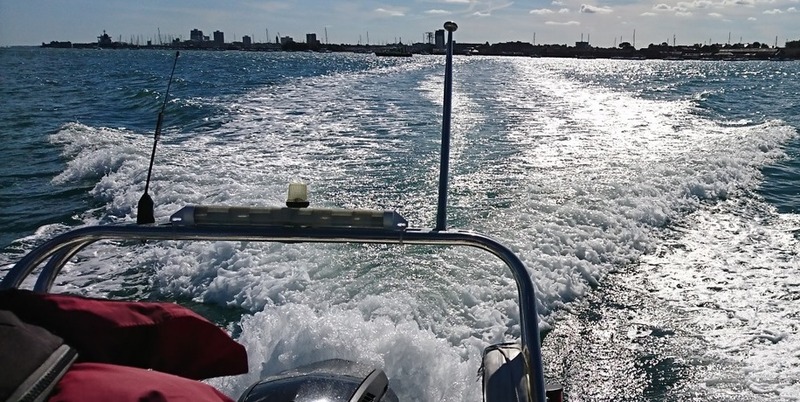 The RYA Powerboat Level 2 was developed for those who want to learn how to operate a small boat safely in daylight hours. Why is this the best Location ? Regarding pricing, we don't profess to be the cheapest but I think if you take into consideration that we teach the Royal Navy and organisations such as the Fire Service, we are certainly one of the best! Our Powerboat Level 2 costs £299 per person, £260 for two or £245 for three or more. This includes VAT, certification, The RYA Powerboating handbook, ICC application form, all safety equipment, boats and fuel and depending on the weather foul weather gear too. The course can also be run from your location using your own boat, depending on type and suitability. *We may be able to price match competitors in the area depending on availability. For the experienced skipper a direct assessment can be also be undertaken over ½ day period costing £165. What Safety gear you should have and how to wear or use it! For those looking to become involved on a commercial skipper the RYA Level 2 can also be commercially endorsed so you can carry fare paying passengers. Information entered into this form is sent via email to our team. None of the above data is shared or stored on the website. It will be used to respond to your request for more information and a record of this will be stored on our database.